John Gosden's brilliant mare Enable stars among the 26 entries for the £425,000 Investec Coronation Cup, one of two G1 contests at Epsom Downs on Friday, May 31, Investec Ladies' Day. 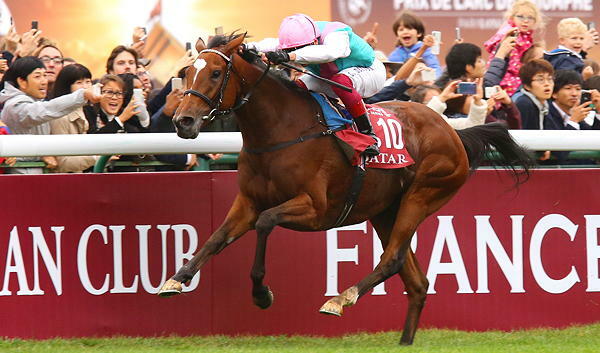 After a delayed start to her 2018 season, the Khalid Abdullah-owned and bred Enable finished the year off in spectacular style by winning a second G1 Prix de l'Arc de Triomphe followed by the G1 Breeders' Cup Turf at Churchill Downs, USA. She has been installed as the 2/1 favourite by Unibet, official betting partner of the Investec Derby Festival. Her Newmarket-based trainer John Gosden landed the Investec Coronation Cup last year with Cracksman, who was announced as the world's best racehorse in the Longines World's Best Racehorse rankings for 2018. In addition to Enable, Gosden has also entered last year's champion stayer Stradivarius (20/1 with Unibet), Wissahickon (20/1), who has been a class above all his rivals on the All-Weather over the winter, dual G2-winning mare Coronet (6/1)and Lah Ti Dar (11/2), runner-up in last year's G1 St Leger. Ireland's 20-time champion Flat trainer Aidan O'Brien is the most successful handler in the history of the Investec Coronation Cup with eight victories, including St Nicholas Abbey - the only triple winner of the historic contest (2011, 2012 and 2013). The seven Ballydoyle entries in 2019 include the last two winners of the St Leger - Capri (16/1) and Kew Gardens (9/4), plus 2018 Irish St Leger victor Flag Of Honour (25/1) and the filly Magical (7/1), who landed the G1 QIPCO British Champions Fillies & Mares Stakes at Ascot last season before only finding Enable three-quarters of a length too strong in the Breeders' Cup Turf. O'Brien said of Kew Gardens: "He is in good form. The Coronation Cup is a race we are looking to aim him towards. "I think the plan would be to start over a mile and a half somewhere, then take in the Coronation Cup before going for the King George. "He stays very and has plenty of options over a longer trip if we want to do that." 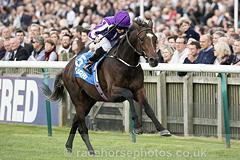 O'Brien's son Joseph, who partnered St Nicholas Abbey to two of his three Investec Coronation Cup wins (2012 & 2013), has two entries headed by last year's Irish Derby winner Latrobe (16/1). Johnston remarked: "The Coronation Cup is a race Mildenberger could hopefully run in. We will look to run him somewhere else beforehand, but those big 12-furlong races are the target. 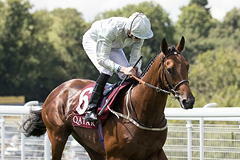 "He hasn't been seen since finishing second in the Dante at York, but he fractured his knee at that point. "We have been happy with him over the winter and he is an exciting horse for the year ahead. "Dee Ex Bee was a good second in the Derby last year, but we are going to step him up in trip and he will start in the Sagaro Stakes at Ascot." Salouen (Sylvester Kirk, 25/1) is another entry with good form at Epsom Downs, having gone down by a head to Cracksman in last year's Investec Coronation Cup. William Haggas has made an entry for the progressive Young Rascal (14/1), owned by Investec's former managing director Bernard Kantor. Scratchings deadline May 14, six-day confirmations & £25,000 supplementary stage May 25, final declarations 10am May 29.